Monitronics Security Reviews- are they better since rebranding from Monitronics to Moni Security to Brinks? 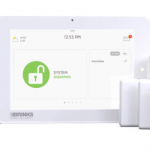 In our 2019 Monitronics reviews, we examine the Monitronics alarm service in detail… and provide a forum in which Moni customers can provide real reviews on their Monitronics Security systems. Find out how the rebranding to Moni Smart Security has impacted customer experience! Got a Monitronics Alarm system? Share your experience with your Monitronics alarm service in our section for Moni Security Reviews. Recently renamed Moni, Monitronics is a national security company that provides top rated monitoring services and installations primarily through a network of authorized dealers. Monitronics Alarm Systems are furnished by such well-known manufacturers as Honeywell, GE/Interlogix, and 2 Gig Technologies. They have recently rebranded as Moni and are in the process of expanding their business model to include corporate-owned sales and installation efforts. February 2018 Update– After rebranding as Moni less than 2 years ago, Monitronics has just announced that they have negotiated a long-term licensing agreement with former security powerhouse, Brinks Home Security. Monitronics is set to undertaking re-branding the Moni Smart Home and Livewatch lines under the Brinks Home Security brand in the 2nd quarter of 2018. Moni is hoping the acquisition of the rights to market their Moni and Livewatch product lines under one of the oldest, trusted and highly recognized Brinks brand will accelerate their growth. How will this affect the existing customer Monitronics reviews? Well, that remains to be seen. In any transition, there are those who see change as inherently upsetting and confusing. Switching from Monitronics to Moni to Brinks Home Security in a two year period may have an impact on the perceived stability of the company. We hope that folks will weigh in below in our section for Monitronics reviews. Online Monitronics Reviews reflect a certain amount of frustration with the ownership and terms of the contracts, auto-renewals clauses and poor performance of some local dealers. Our Monitronics Security summary and detailed editor’s reviews are followed by an area for Monitronics Customer Reviews and a FAQ section in which we compare Moni Smart Security with some of the best home security companies. If you currently have a Monitronics alarm system, we hope you will share your experience with our readers below. Current Monitronics Customer? Leave Your Review! Moni Smart Security is now Brinks Home Security! For the latest on Brinks Home Security Systems, check out our 2019 Brinks Home Security Reviews, HERE. Future Monitronics Security customer or existing Monitronics patron? Thinking about protecting your loved ones with a Monitronics alarm system? Or maybe you already are a Monitronics Security patron and are looking for a place to post Monitronics Reviews or find details regarding Monitronics Alarm services…. 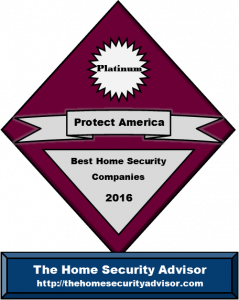 The Home Security Advisor was developed to be a in depth reference to assist you in finding the solutions you need toand make informed selections concerning home security. To help you to learn more about Monitronics- along with several of the other top selling security alarm companies, check out useful table of contents, with “quick jump” links to assist you navigate directly to the particular segments that happen to be most significant to you. Comprehensive professionally installed security solution by well regarded security company. See how Moni compares with the competition! In just a little over 20 years, Moni has grown into the 2nd largest residential security provider in the US. Headquartered in Dallas, Texas, they have over 700 employees with a network of over 400 dealers to service over a million homes and businesses. Perhaps the most well known Monitronics authorized dealer is Alliance Security. After being re-branded as Moni, the BBB rating has now been listed under Moni as an A+ rating. Over the last 3 years Moni has close 2262 complaints filed with the BBB. There has been significant negative feedback in reference to escalating rates, difficulties cancelling service and failure to discontinue billing even after service has been cancelled. Unlike much of the competition, Moni does not use 3rd part monitoring companies. Moni Smart Security operates their own UL Listed, Five Diamond Certified monitoring station. .They offer 24/7 protection against intrusion, medical and personal safety, fire and environmental hazards and are a leading provider of 2-way voice monitoring. A full range of monitoring services is offered – from basic home security over a landline to fully integrated energy management and home automation packages. Monitoring rates run from $34.99-$54.99+. Remote System Access-through either Alarm.com or Total Connect, which enable you to access and control your system from any computer, tablet or mobile device. E-Mail/Text Event Notification-alerts you when the system has been activated,armed or disarmed. Severe Weather Alerts-advises you of potential severe weather on your control panel. Wireless Cellular Connection- Provides wireless cellular communication to prevent the possibility of having phone lines or broadband service cut or compromised. Two Way Voice Verification- Allows you to communicate directly with the monitoring center with a highly sensitive speaker and microphone located in the Touch Screen Panel. This enables “listen in ” capability when the alarm has been activated to verify signals and prevent costly false alarms. Image Capture- Enables camera to capture and e-mail images. Remote Lock Control- Allows you to unlock Z-Wave equipped doors remotely. Remote Lighting Control-Enables control of Z-Wave equipped lighting. Remote Thermostat Control-Enables control of Z-Wave equipped thermostats. Remote Appliance Control- Allows you to control Z-Wave equipped appliances. Moni does more 2-way voice than most monitoring companies. The 2-way voice verification feature is included in the Premier package, and is available for an additional $5/ mo. in the other packages. Video storage is available for an additional charge. The home security systems are professionally installed by local authorized dealers that are certified by Monitronics. The approved security components are primarily manufactured by Honeywell, GE and 2 Gig Technologies and are often branded for Moni. Professional installation is required with standard installation or activation fees that range from $99-$150 for basic packages. While basic package prices are fairly competitive with other national companies, add-ons can get pricey. Pricing is dictated by the local authorized dealer, so there can be significant differences between price quotations. Most equipment (excluding door locks and video cameras)carries a lifetime warranty at no additional charge. Customer experience is generally positive, and Moni now maintains an outstanding A+ BBB rating. Although there are over 2200 complaints lodged over the past 3 years, this is statistically a relatively small percentage based on the size of their customer base. Most complaints revolve around the difficulty of cancelling the 3 year contract and service call billing issues. Moni offers a quality alternative to one seeking a nationally recognized brand offering a professionally installed system, installed by a local authorized dealer. While Moni Smart Security certifies the individual dealers to help assure a quality customer experience, the service experience may vary significantly depending on the caliber of the independent dealer in your area. We recommend that you research the local dealer, and explore our top alarm companies before making any long term commitment. Can Moni Home Security Compare to our Top Alarm Companies? Please feel free to offer your comments, feedback on this Monitronics Review or share your experience with Monitronics security systems below. Monitronics authorized dealers choose their own from approved providers list. How does Moni Smart Security compare with the top competition? 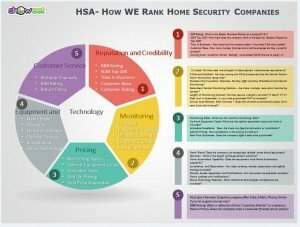 Moni Smart Security is the 2nd largest home security company in the US, and has a network of authorized dealers that cover the majority of states. If you want a nationally recognized company with professional installation and are looking for an alternative to ADT, Protection One and Vivint -Moni is a reasonably good choice…IF you are willing to pay a premium price. Because installations are handled by local dealers there is some inconsistency in the customer experience…and, as a result- negative online reviews and feedback regarding their sales and contract renewal practices. 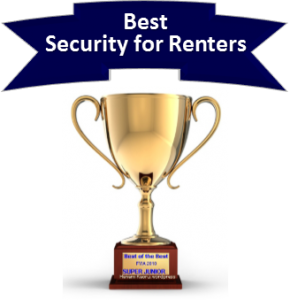 We feel that there are a number of better security options offered by our top rated security companies and those listed in side by side comparisons, below. Either of the two companies include professional installation. However, Vivint uses primarily their own employees, where as Moni installations are done through their network of 3rd party authorized dealers. Consequently, the experience can vary significantly from one dealer to the next. As a result, you may find a number of negative Monitronics reviews due to the sub par performance of individual dealers. There is also less consistency when it comes to equipment and pricing. This is often determined by the local dealer. Before committing to a long term Moni Alarm contract, check out our Monitronics Reviews. You should seriously consider comparing them with Vivint. What is new with…. Moni? For many years, Monitronics was a distant second or third to ADT in the SDM Top 100. In recent years they have attempted to close the gap by acquiring LiveWatch DIY alarm company and a very large network of authorized dealers, Security Networks and rebranding as MONI. The net result of over a half billion in acquisitions and a comprehensive re-brand effort is yet to be determined…but, what is evident is that their previous A+ BBB rating has disappeared, and Moni is “unrated” with the BBB. In contrast, ADT Authorized Premier Provider – Protect Your Home maintains an A+ BBB rating! While Moni now has almost a million customers, there are over 6 million homes and businesses in the US equipped with ADT monitored security systems. Moni has 1 monitoring center. An ADT monitored system is professionally installed, using the most reliable, state of the art equipment. Their highly trained, experienced and background-checked technicians will ensure that everything works properly and that you are completely comfortable with the operation of the system -which is monitored by ADT – the most trusted name in the industry. Although they both do a good job resolving customer issues, Frontpoint has a higher BBB Rating and a much lower number of complaints filed annually than Momotronics. Navigate to the Frontpoint site, and you will find pricing, equipment, monitoring rates, ownership and warranty policies all clearly spelled out. Monitronics is much more vague, as equipment and pricing varies from dealer to dealer. Frontpoint uses GE Interlogix and Qolsys equipment. Frontpoint systems come standard with Cellular monitoring and start at just $99.00.…with extremely competitive pricing on their add on sensors. Monitoring costs run from $34.95-$49.95…and all included features are clearly defined. Moni Smart monitoring rates run between $34.95 and $54.95+ and you can expect installation fees to start between $99 and $150 or more for a basic system….and you’ll end up paying significantly more on additional wireless sensors to have them professionally installed. Home Alarm Systems used to be predominantly hardwired and require drilling holes, fishing wires and programming systems. Today’s wireless technologies are relatively simple to install yourself- especially when any reputable DIY Alarm Company will pre-program and configure the system before shipping it out- leaving you to mount a few sensors and call in to activate the system. Frontpoint makes the entire process seamless…so installation is a breeze. Over 90% of Frontpoint customers found the system “easy to install”. The local authorized Moni dealer will provide interactive capabilities based on the brand of equipment that they offer. Prices start at $54.95 for their Premier Service. Smash and Crash Protection- notifies the central station of an intrusion- even if the system is destroyed or compromised. Geo Fencing- allows the system to automatically manage security and home automation features base on your GPS proximity. Power Outage Notification – in the event that there is a loss of power, the system alerts you via SMS or E-mail. Frontpoint also offers a premium touchscreen Qolsys control panel, which can display local weather, 5 day forecasts and provide severe weather warnings in an emergency. The Qolsys IQ is even equipped with an integrated camera which captures and stores an image of anyone who arms or disarms the security system. While a Moni dealer will typically send a salesman to your home to provide pricing and system details…Frontpoint believes in providing total transparency on their website, and giving you all the tools you need to make an informed decision…and place your order right over the phone. Then they give you 30 days to try the system to make sure it is right for you….No pressure…no gimmicks…no restocking fees. with the very best customer service in the industry. Protect America has over 20 years experience and pioneered the DIY alarm industry. As the #1 DIY Alarm System provider, they deliver most of the same advantages over Monitronics…without any upfront costs. Protect America makes protecting your home and family with a security and home automation system by eliminating upfront equipment AND installation costs! Their Simon XT control panel which is very easy to use, reliable and comes backed with by a Lifetime Warranty. A Moni Security System will easily cost you hundreds, even thousands of dollars up front. With their $0 up front pricing policy, Protect America makes it easy and affordable to own a comprehensive home security system. And their Rate Lock program keeps it affordable, by guaranteeing your monitoring rate for life. Get the $0 Up Front Costs– with Protect America ! Link Interactive is owned by Mountain Alarm which has over 60 years of experience in home security sales,service and installation. With an A+ BBB rating…and an astounding 98% customer approval rating, you can sleep well at night knowing your home is protected by a company that knows how to take care of their customers. Link Interactive systems are comprised of state of the art wireless security system from 2GIG Technologies. All for just $39.99 a month. Along with having unbeatable prices and a very extensive equipment selection, they have an experienced installation and tech support team to ensure that the system gets installed right! For exceptional service, equipment and all-inclusive monitoring rates…check out Link Interactive! Much of our original interest regarding Armorax has slipped away significantly because the provider continues to exhibit indicators that it’s struggling. The Armorax BBB rating has slipped off substantially coming from an A (during the time of the original Armorx vs. Moni review)to a C+. This is indicative of the fact that provider has not responded to buyers complaints-even after getting filed with the BBB. In our secret shopping endeavors, we have found that even the sales representative fails to pick up calls. Incoming calls are generally greeted using a voice mail which will tells one to dial 911 should this be an emergency…or to stay on the line for the product sales representative. Following several minutes or so on hold, you’re finally transferred to an answering service that’ll take a name and number to get return call. This makes one wonder what happens if I have a problem with my system? In addition, Armorax seems to have switched vendors 3 times over the last calendar year. They have changed from the cutting edge 2 Gig lineup, briefly advertised the Interlogix Simon XT, and are now providing the less popular Resolution Helix control panel. Their most recent deal costs you $99.00 up front and basic monitoring starts at $34.99 and the Mobile APP is provided at an additional charge! In addition, the complete lack of online transparency does nothing to promote confidence. Currently there’s a one page website that delivers little information on this company track record, products, costs, monitoring provider and services, Mobile App, Installation information or training videos …or just about anything other than that which a potential consumer might choose to appreciate. Despite the fact that company displayed good potential in the beginning, our company is no longer keen with regards to them as a reliable alternative option to a Moni Smart system. In our view, you will find significantly better alternatives. Just about all security system providers require a 36 to 60 month monitoring commitment should you sign up with the provider. This is a pretty ordinary concept with the security business and Monitronics is no exception to this. Keep in mind, that even after the contract is finalized, the customer always has a three day legal right of rescission. Quite often, do it yourself burglar alarm providers provide a Fourteen,30 or possibly 60 day return policy. 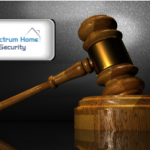 Nevertheless, if you are getting the Moni Smart Home security system put in, you have to move quickly to terminate the agreement within three days of the time the agreement was in fact signed. Once the right of rescission has expired , one is normally accountable for all, or the majority of the monitoring payments with respect to the total period of the contract, even though one moves past the support region of the company. So when you think you could be transferring, make certain you possess clear knowledge of your liabilities to Moni prior to making a commitment. Escalation clauses- A lot of companies maintain the legal right to increase the monitoring fee after the 1st year…even if the contract length is greater. Automatic Renewal Clauses – Certain agreements repeatedly renew on an annual, or some times extended duration after the preliminary term is finished unless the client legally cancels the contract and fulfills the specified terms and conditions of contract termination. Cancellation Terms – Commonly the contract must be ended in writing, 30 days or even two months prior to the end of the initial written agreement. Be sure you get hold of Moni customer support and figure out exactly what conditions need to be met to terminate the commitment. When it’s time to end that long term contract, be sure that you take each one of the necessary actions and record all communications. Make sure each of the methods are documented and saved where they can easily be retrieved in the event there is a disagreement. Also- remember to check your bank account to make certain that there are not any computerized debits subsequent to the authorized date. As a result of your experience with Moni Smart Home Security, you are likely going to possess a much better notion what you are looking for in a home security company. Our quick security quiz could help you narrow down the possibilities. Whats new for Moni Smart Security in 2017? Well for starters….the name Moni! Monitronics has rebranded and has a whole new look and feel. Moni Smart better embraces a more modern approach to security…and most importantly, the industry trend toward integrating home security into a comprehensive smart home with fully interactive capabilities. Moni continues to expand it’s offering home automation and proudly introduced the voice control capabilities that are now offered in the new Skill for Amazon Echo app. Powered by Alarm.com, the Skill for Echo will enable Moni users with Alarm.com service to control certain security functions with voice commands to Alexa on their Echo. February 2018 Update-Less than two years ago, Monitronics changed their name to Moni. At the end of February, Monitronics announced that they will soon be rebranding to Brinks Home Security. They recently negotiated a long term licensing agreement to market their Moni Smart Home and Livewatch product lines under the Brinks and Brinks Home Security name. Rebranding efforst are scheduled to begin in the 2nd quarter of 2018. Moni is hoping the acquisition of the rights to market their Moni and Livewatch product lines under one of the oldest, most trusted and highly recognized Brinks brand will accelerate their growth. Do I need a permit to install a Moni System? Is it obligatory to acquire an burglar alarm permit to operate a Monitronics Alarm system? Strictly speaking, you don’t need a permit unless the system is professionally monitored. Having said that, because your Monitronics Security system ends up being remotely monitored with the motive of employing emergency response providers, quite a few local municipalities will need a permit. Usually, this entails standard enrollment with your hometown police or sheriff’s department and some sort of reasonable fee. You will probably also be asked to deliver the name, address and phone number of Moni Smart Security, as well as the monitoring station. Although most online Monitronics Reviews don’t get into it…wherever permits are necessary, just about all cities will be needing a 1 time charge to enroll an individual’s system, while a few municipalities take a yearly renewal also. When it comes to towns with high criminal offense and false alarm rates, failure to register might lead to a refusal to respond to locations which do not have a burglar alarm permit…although this is fairly uncommon. However, you may be subject to supplemental penalties should law enforcement officials, fire or emergency medical assistance end up being dispatched to a establishment with no permit in cities in which one is expected. Even when a licence is in fact procured, generally cities are likely to assess penalties with regards to frequent false alarms. Our Monitronics Reviews would not be complete if we didn’t remind you that virtually all communities currently have strategies established in which the first 1 to 2 dispatches would not call for fees. However, after that fines ordinarily escalate from $25-50 to your initial enforceable offense…to $100-200 for consequent repeat infractions. Accordingly, it’s critical that Moni Smart home security system customers call the neighborhood police department, determine what permits are expected, obtain a comprehensive knowledge of the neighborhood rules and be certain they take into account the recommended simple steps for preventing false alarms. Although most Monitronics Reviews don’t get into it, the vast majority of dispatches spring from false alarms. Because of this, a large percentage of towns enforce penalties and fees when homeowners go beyond a certain quantity of false alarms. To protect against the possibility of this happening to you, listed here are some recommendations for preventing a false alarm with your Monitronics Security system. • Be sure that everyone knows the way to disarm the burglar alarm. Your alarm has a master passcode, along with a number of supplemental individual codes that can be programmed into the system. Try to be sure everybody knows his or her code and is able to disarm the burglar alarm. • Be sure that everybody is also aware of the password. In the event that there is an alarm, the central monitoring station will typically contact your property to start with and ask for the security password. This is to make sure that that the man or woman picking up is undoubtedly an authorized party. In the event of an alarm, should he or she be unable to supply the correct password, the authorities will likely be dispatched. • Check to see that all windows and doors are properly secured before setting the system. Any doors that have been left slightly ajar could be blown open while you are away at the office and set off the alarm. • Make certain that all sensors are placed solidly and in the best places. Motion sensors should really be positioned at a height of 6’ as well as being removed from areas that have fans, heating units, fireplace and ac units. • Take note of things that could potentially trigger a motion sensor. It’s not only pets. Air conditioning units could potentially cause fluttering drapes or plants…even helium balloons which could be moved around the house due to air currents. Ensure that they have been strapped down away from the motions. • In a perfect world, your pets really should be limited to areas removed from motion sensors. Should that not be viable, you’ll find “pet friendly” or “pet immune” sensors which are able to screen out smaller pets under 40, 50 even 80 lbs. Motion sensors could also be set up to generate pet alleys where by pets could move freely about. Glass break detectors could also be used in lieu of motions. • IIt is extremely important that batteries be changed when low. Monitronics Alarm systems use Li-Ion batteries that have, at a minimum, a two year estimated life expectancy. Your Monitronics Security system will generally notify you if the batteries have become low and even continue to alert you when there is about 1 month of functional life. It advisable to acquire additional batteries and have them readily available so you can switch out low batteries easily. Your system can even inform you should there be virtually any problems with sensors. In cases where you get a system error notification, do a status check and check out the sensor. Speak to Moni Customer Service if you continue to receive fault signals. Keep your user Monitronics Alarm manuals/codes/passwords in a secure chosen location where they might be checked if necessary. Although, the easiest way to avert false alarms is to utilize your Moni Smart system regularly and ensure that everyone is familiar with how to operate the system. Do I get a break on my insurance if I install a Monitronics Alarm? Most insurance companies provide Monit Smart Security customers with substantial savings on their Homeowner’s Insurance providers when they provide proof of installation of a Monitronics alarm system. Although price reductions vary from one company to another and the scope of the coverage – popular discounted rates range from 5-20% depending on the type of security system and the amount of services that happen to be provided. Occasionally online Monitronics reviews will mention that they didn’t receive a certificate from the Moni dealer when they initiated the Monitronics alarm service. If you have difficulty retrieving it online, a quick call to Moni customer service is all it takes. Make sure that the insurer knows that the system will be supervised along with whether things like fire, flood and freeze protection has been integrated in your Monitronics security system. Provide them with the certificate of installation showing the sorts of services for which your system is monitored. Online customer Monitronics reviews indicate that Moni customers are realizing that there are a number of other financial benefits of owning Monitronics security. With the addition of popular Z-Wave components, you can upgrade your Monitronics Alarm and create a computerized Home Energy Management System. The Moni Smart App will enable you to remotely manage your system from your smart phone and lower fuel and energy bills drastically. By optimizing your lighting as well as heating schedules someone can reduce usage and charges by as much as $200 a year. Questions one should ask oneself prior to choosing a Monitronics Security system? There are a number of concerns that is recommended you consider prior to buying Moni Smart Security, or any other program. Since you might be doing a 2,3 or even a 5 year contract, it is very important for one consider various criteria prior to you signing any Moni contract. Regardless whether anyone from Moni has come knocking on the door, called you on the phone or maybe you might be responding to some sort of glossy full-page color Monitronics alarm advertisement which often came in your recent mail….it is advisable to be sure you are aware of all the different possibilities open to you to make the very best evaluation possible. 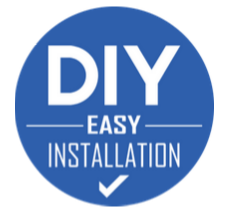 Do it yourself as opposed to Professional Install? One of the initial things to consider is whether you want to put in the unit personally or perhaps pay for a professional installation. Traditionally, home security systems would have to be hardwired into the home. This would call for drilling and even cutting openings into the walls, fishing electrical wires and complicated mounting and extensive programming. But…times have actually changed. Even the providers, such as Monitronics Security, that professionally install the systems are now working with mainly wireless equipment. Nevertheless, online Monitronics Reviews sometimes cite frustrations with installations and customer home security systems service. The customer home security technology continues to be improved through the years to really make the customers home system security products exceptionally easy to use… and install. It is no longer necessary for professionals to install to ensure customer’s security. The more capable Do-it-yourself alarm companies have actually vastly streamlined the installation program in order to make it simple for even the most technically challenged property owners. The better companies, such as Frontpoint Home Security and Protect America Security pre-program the whole system prior to mailing it out, guaranteeing that all the end user has to do is attach the devices and simply contact them to get the system initialized. More than 90% of house owners determined our best DIY alarms systems were quite straightforward to install! Even though a professionally installed system from Moni may well demand less energy, a large proportion found that the equipment made available through the top Do it yourself home security system service providers were simple to install, user friendly and consequently ended up saving individuals a considerable sum of money compared to a installed by a professional system. If you should decide on professional installation, and get Monotronics Security, remember to determine how experienced the installation specialist is, as well as whether they have previously been background checked as well as undergone drug screening. Inquire whether or not the supplier has their own employees or possibly uses 3rd party subcontractors. Using Monitronics sub-contractors isn’t necessarily a bad thing (they might even have more past experiences compared to company employees) nevertheless ensure that they ought to have actually completed comprehensive screening prior to allowing them into your your home. When it comes to acquiring the right security company for helping help safeguard your home and loved ones, we suggest getting a nationwide home security company which has had a reliable background and is focused solely on home security systems. Monitronics reviews indicate the ability to provide relocation services anywhere in the country is an important consideration. We live in a mobile culture, and no one knows when you may be required to transfer or relocate and …and have to move your Monitronics alarm to another city. Moni has a dealer network that covers pretty much the entire U.S.
How Much Time Will It Require Monitronics Security to Respond to an emergency? Though almost every provider claims to provide the best reaction times in the business, you should understand how to decipher these types of assertions. 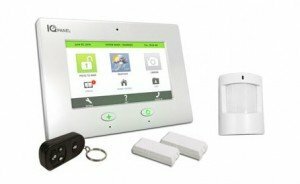 Your actual Monitronics Alarm system should ordinarily make use of a 30-60 second entrance delay on your principal entry ways that will allow you enough time to disarm alarm. The system can also be placed on “Instant” setting whenever everyone is home. Typically the siren goes off after any delay if your system is not disarmed. The Moni monitoring center response times tend to be estimated from the time a signal is acquired to the instance the dispatcher contacts the house to verify the signal. These times definitely should probably be inside of sixty seconds. If no one picks up from the household, typically cases, the Monitronics Alarm Company monitoring personnel will seek to get hold of everyone listed on the emergency call list …and they will dispatch the authorities. Every action ought to be time stamped as well as transcribed from the monitoring center. Although you might find Monitronics reviews the criticize involving higher than average reaction times, most of the leading security alarm providers can do a first rate job – provided things are functioning properly. Monitronics Security advises that the system is is tested on a weekly or at least monthly schedule to make certain the system along with communications are actually operating correctly. Nationally, the average response time frame by the police is approximately 7 minutes, though, this can vary considerably based on the location of your property, the type of the circumstance, whether there is audio or possibly on-line video validation and the existing demand and also availability of nearby emergency assistance during the time of the call. In the event you currently posses Monitronics alarm service and can offer information on their real-world response times, please be sure o mention your experience in our customer Monitronics reviews. Will Monitronics Security still function when you lose electricity? The Monitronics Alarm system has a battery back up system which can run the unit in case of an electric power outage. Most Monitronics reviews are going to identify this as a basic 24 hour battery, yet this can vary considerably based on the key pad screen, personalized configurations and the amount of components. When the Moni Security system changes to back up electrical power, the unit is going to beep to help alert you and require someone to enter the code. Your system also can advise you by text or e-mail should you have established remote updates. If you are an existing Moni Smart Home Security customer, and have experienced a power disruption, please share your experience in our Monitronics Reviews. Ina addition to a Monitronics alarm -below a handful of easy steps to safeguard your property from burglars. 1. Keep the home properly illuminated. Outside motion lights are an excellent deterrant against nighttime home invasions. 2. Create the illusion that you are home simply by employing timers on lighting, radios and also Televisions. Making your house seem to be occupied, even when no one is home, will certainly dissuade criminals. 3. If you’re going away, have a next door neighbor collect the newspaper. Suspend mail delivery and schedule to have the lawn cut or driveway shoveled. 4. Have shades drawn in spots with particularly expensive equipment. 5. Give a spare set of keys to a dependable friend. Never leave them underneath a door mat, over the front door or under a plant pot. 6. Don’t broadcast that you are going away on social media, e-mail auto responders or answering machine messages. This informs criminals your home is unoccupied. Consider a professionally monitored alarm system from one of our top rated security companies. It will help reduce the chances of an attempted burglary, and provide you with a great many other life safety benefits that will increase ones sense of security and provide you with 24/7 peace of mind! Thank you for visiting! Please feel free to share our Monitronics Reviews, below or follow us, above. If you or someone you know has experience with a Monitronics Alarm System or a Monitronics Security dealer, we hope you will share that experience in our Customer Reviews. As a loyal customer, I had a “communications error” on my system. They wanted to charge me to upgrade to a cell unit and a new panel. They blame it on Broighthouse, but that was the phone line I always had. This is beside that fact that they didn’t tell me my alarm was not functioning. It’s a RIPOFF !!! I called my original installer and he walked me thru changing codes. IT works fine now, NO THANKS to Monotronics. THIS COMPANY IS A NOT FRIENDLY OR LOYAL AT ALL. Find another company. I’m sorry to hear about your experience, however, I do appreciate your feedback. Our readers need to hear about both the good and the bad experiences, so they can make an informed decision. Thanks for weighing in.